Tomorrow Available tomorrow after 11 a.m. Specifically designed to provide class-leading durability, all-season performance and ride comfort, the new SINCERA SN250 A/S truly delivers. Using Falkens proprietary Dynamic Range Technology (DRT), the SN250 A/S ensures excellen grip at a wider range of operating temperatures for exceptional dry and wet traction. 3D Canyon sipes add more gripping edges per outer block while angled tread grooves on every rib help to increase snow traction by adding voids for packed snow. The SN250 A/S features 80K/75K limited mileage warranties and is available in 54 sizes. Through an array of advanced technological features including Falken Tires exclusive Tension Control Technology (TCT) process, engineers achieved an excellent balance of handling, high-speed stability and confident all-weather traction. Using Falkens proprietary Dynamic Range Technology (DRT), the SN250 A/S ensures excellen grip at a wider range of operating temperatures for exceptional dry and wet traction. Serving a wide array of weather conditions, the FK450s 3D Canyon Sipe Technology adds biting snow and ice edges for winter driving yet compress into solid blocks providing excellent dry handling. Check out our wide selection of wheels to get the ultimate look. 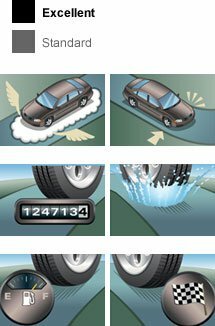 If you're not sure of your tire size, we offer a tire size calculator for your convenience. 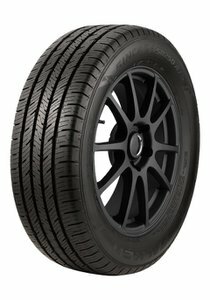 Falken Tire Corporation, with its North American headquarters in Rancho Cucamonga, California, has successfully built a reputation as a leader in high performance tire technology for both cars and trucks. A subsidiary of Sumitomo Rubber Industries, Ltd., Falken Tires has grown to become a flagship brand that focuses on Ultra High Performance tires, as well as value lines in Light Truck, commercial Medium Truck and Bus Radial tires.